EDIT: These tables have been updated. Minor corrections in atomic masses are needed, mainly for iron and gallium. The updated version can be found at Color Periodic Table Wallpaper – Crystal Tiles. 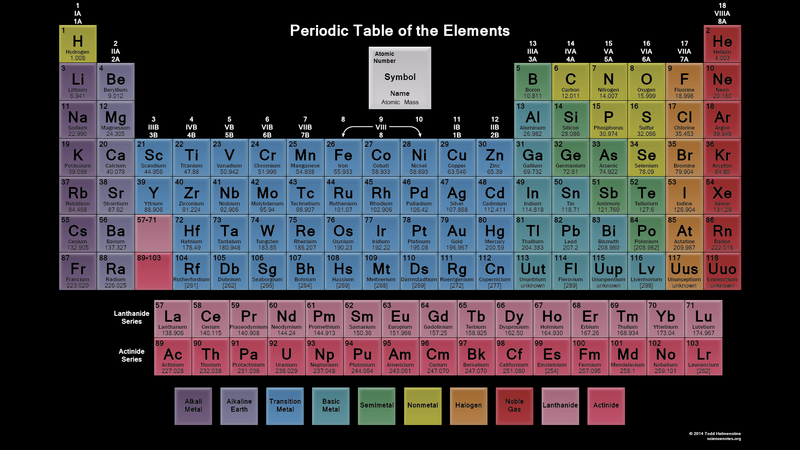 This wallpaper is a 1920×1080 periodic table suitable for any widescreen monitor or device. The tiles for each element are colored by element groups with a crystalline, glass shine. 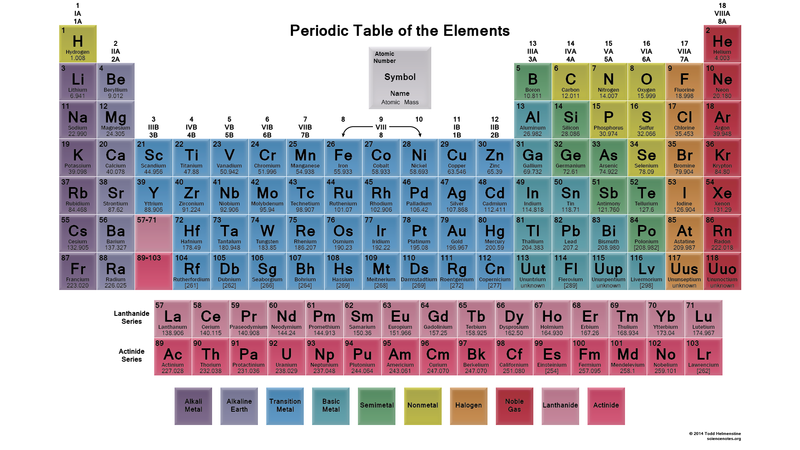 Each element is represented by its atomic number, element symbol, name and atomic mass. This wallpaper is also available with a black background for a darker theme. If you would like to download and print this table, a PDF file is available. For best printing results, choose Landscape and ‘Fit’ for your size option.